The fall is coming and my favorite shows are about to start their new seasons! So I made a list as a constant reminder for myself about the premiere dates. 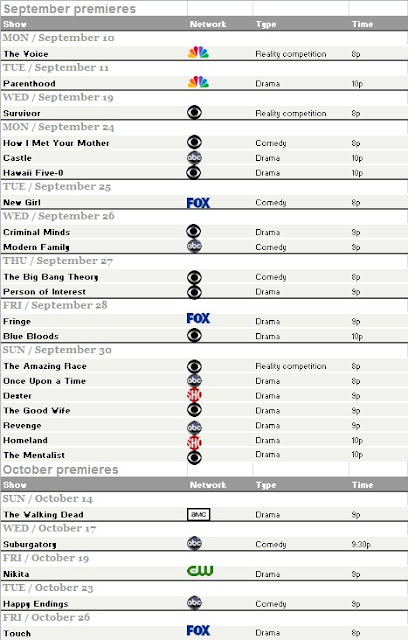 Below list contains the shows that I watch, if your favorite show is not here, then search for its premiere date.